celebrations started with a delicious lunch and selection of Chinese, Japanese or Indian cuisine. The Chinese rice and spring rolls, the Indian butter chicken together with the Naan bread were great to taste. The Japanese Gyoza (dumplings) and the Udon Noodles in Okonomi sauce were also a nice treat. For dessert the students were able to get an insight into their futures by choosing a sweet tasting fortune cookie. 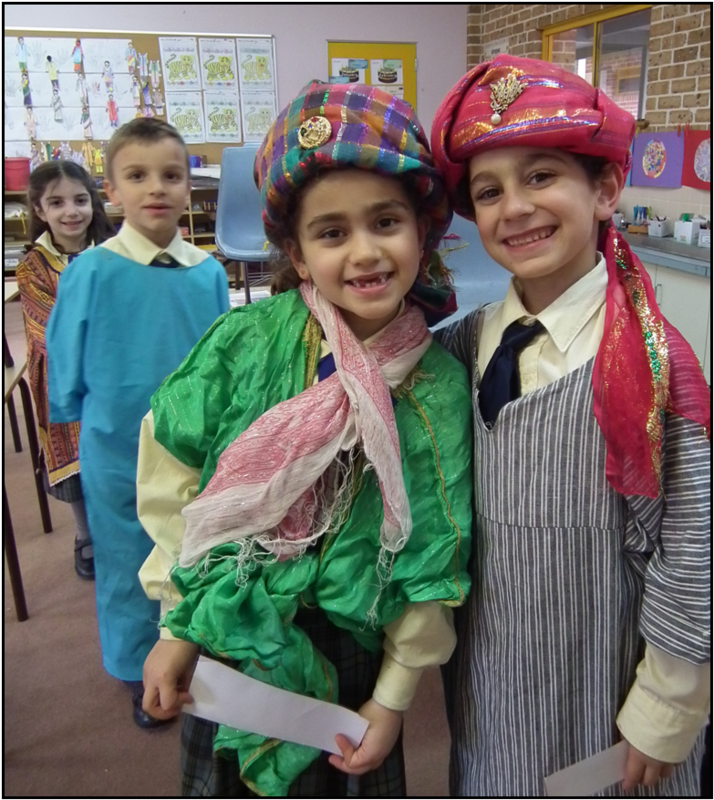 The students were then able to share the knowledge they had gained about their Asian country in our special assembly. It was wonderful to see all the students dressed up in the traditional costumes of their respective country of study. The hall was also nicely decorated with fantastic displays and a table full of information about each Asian country. After individually presenting the fascinating information they had learnt about India, Years 1 & 2 had a fun dance display about some of the animals that are found in India. Prep and Kindergarten students were next to discuss and answer questions about China. They were able to share some factual information about the most populous country in the world and show some of their craftwork. This was followed by a Chinese New Year song and an instrumental piece performed by the students. 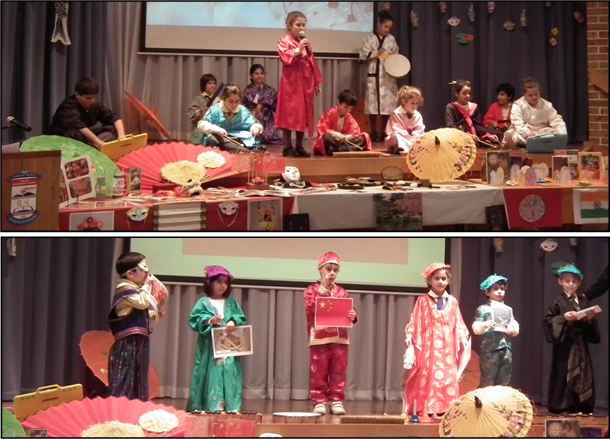 Years 4-6 presented their extensive knowledge of Japan and acted out a play about the impact of foreign intervention on Japanese traditional culture. They then set up a mini percussion orchestra and with the vocal support of Anita played and sang a lovely Japanese song. However, as if this was not enough, the audience were then asked to stand up and learn how to say ‘head’, ‘shoulders’, ‘knees’, ‘toes’ and other body parts in Japanese and before you know it everyone was singing and dancing the song we all love... in Japanese! We not only had a fun and entertaining afternoon but also a great educational experience learning about some of the unique customs and aspects of the daily life of the three Asian countries studied. 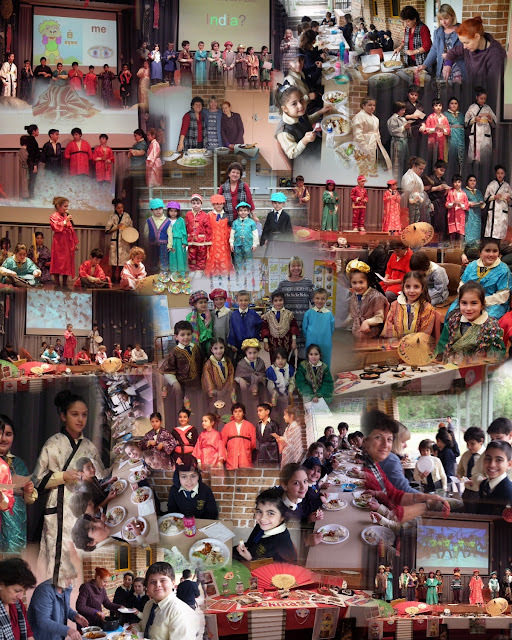 Thank you to all the teachers and staff for organising the event and helping prepare the food and dress the children. Also a big thank you to all the parents who joined us in the afternoon to witness the great learning that takes place everyday in our classrooms.